OMEGA Chucking Spud and Drill Adapters feature a straight male shank and a 1/4-28 female opening. OMEGA Chucking Spud and Drill Adapters can be used with any standard drill chuck. OMEGA Chucking Spud and Drill Adapters can also be used to extend any other 1/4-28 threaded components, including drill collets, paint cutters, and threaded shank drills. OMEGA 4'' Chucking Spud style drill adapters feature a straight male shank and a 1/4-28 female opening. ''Chucking Spud'' style drill adapters have a straight male shank and may be used with any standard drill chuck. The OMEGA OM1023-2 2'' Chucking Spud and Drill Adapter is one of thousands of quality tooling products available from MRO Tools. Please browse Countersink Extensions, Chucking Spud and Drill Adapters for tools similar to the OMEGA OM1023-2 2'' Chucking Spud and Drill Adapter. 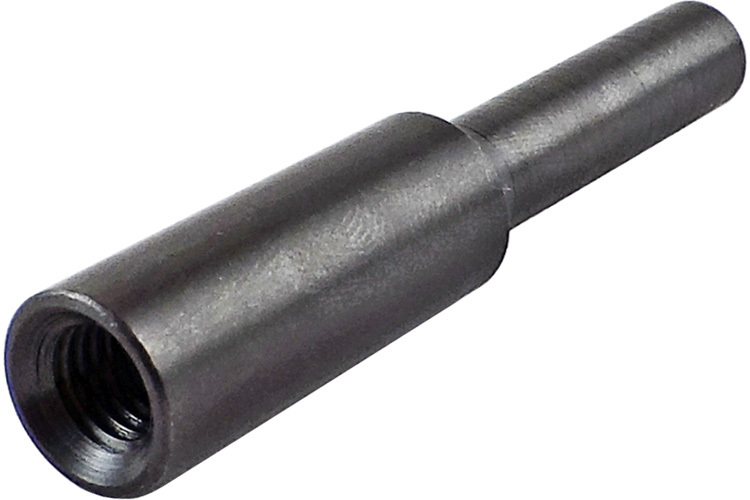 OMEGA OM1023-2 2'' Chucking Spud and Drill Adapter description summary: OMEGA 2'' Chucking Spud style drill adapters feature a straight male shank and a 1/4-28 female opening. ''Chucking Spud'' style drill adapters have a straight male shank and may be used with any standard drill chuck. Quantity discounts may be available for the OMEGA OM1023-2 2'' Chucking Spud and Drill Adapter. Please contact MRO Tools for details.